My sister recently decided to do something bold. She planned a solo weekend trip to a city in another country. I am in awe of her independence. We’re both introverts, so I respect how much she has to put herself out there in order to complete this journey. I have travelled on my own en route to many places, always to have someone waiting for me at my destination. I would love to take my own solo trip some day. No one waiting for me at the end – just me and any interesting people I may encounter along the way. All of this pondering about being a woman traveling the world inspired me to build this list of travel novels featuring Slatebreaking characters. In these stories, young women tackle travel adventures (some planned, and some unplanned) and show that they can face the unknown with confidence. 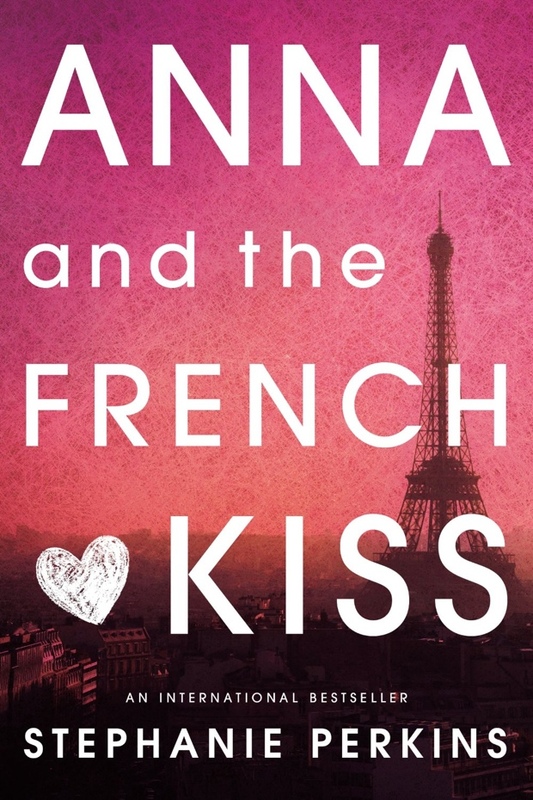 Anna and the French Kiss by Stephanie Perkins – I am a complete sucker for realistic fiction YA romances, so of course I adore this book. Anna is a slow bloomer in the Slatebreaking department. She is initially resistant to the idea of studying abroad in Paris (what??? I know!) but she warms up to the city, the experiences, and of course to a certain boy. It’s one of the fluffier YA travel books out there, but it’s certainly a pleasurable read, and it is perfect for dreaming of European vacations or for passing the time in an airport. 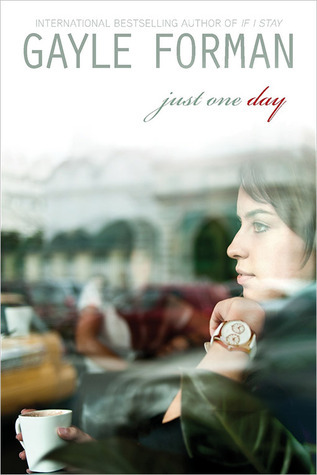 Just One Day by Gayle Forman – This is a recent addition to the list but it is so good. Readers get to follow Allyson as she spends a spontaneous European day with a mysterious boy. This book focuses on Allyson’s ways of coping after a sudden break-up, but it does so in an admirably feminist way. Allyson has to fight against depression and self-doubt after her disappointment, but in the end she has identified clear goals and is assertive about her future. I just got a copy of Just One Year from the library and I cannot wait to dive into Willem’s side of the story. 13 Little Blue Envelopes and The Last Little Blue Envelope by Maureen Johnson – These are fun books not only because they take the reader on a grand tour of many European locations, but also because they feature the snarkiest and most delightful humor in YA realistic fiction. There’s romance, and it’s good. (Of course there’s romance. In my opinion, a good travel book has to have romance because you go somewhere and then fall in looooove.) Even though the romance doesn’t work out quite like a fairy tale, the heroine Ginny does a stellar job of keeping her chin up and being a smart lady. 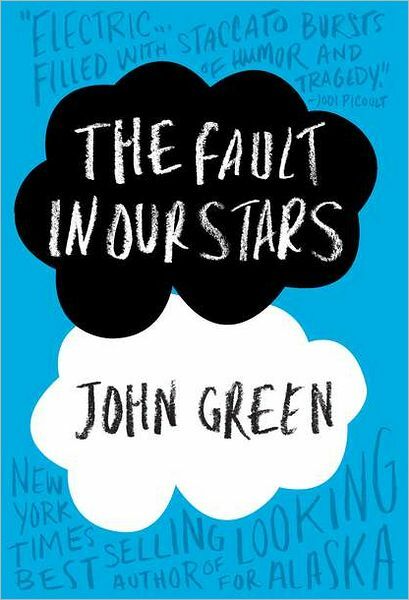 The Fault In Our Stars by John Green – This is a travel-because-it-may-be-the-last-thing-we-do book, rather than a travel-because-I’m-young-and-it’s-fun book. That gives it a distinctly different tone, but it’s still lovely. Hazel is Slatebreaking on her own, but the relationship between Hazel and Augustus is Slatebreaking because of the way it models respectful physical and emotional intimacy. Sarah and I talked about that more in depth in our joint review of the book. 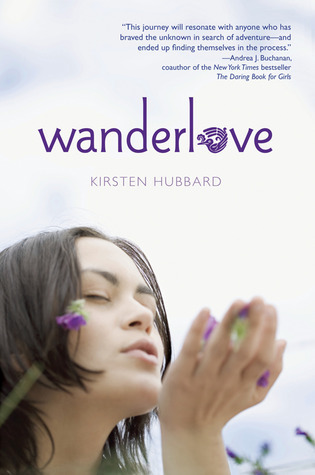 Wanderlove by Kristen Hubbard – I recently reviewed this book, and I felt so connected with the way that Bria took on a travel challenge because she thought it would be good for her. She knew it would be a boundary stretching experience, but she was still scared. She did it anyway. Bria’s evolution to overcome self-doubt was the best thing about this book. All of these books are available in paperback, so you can pick a lightweight copy and stuff it in your bag for inspiration on your next adventure. Or if you’re anything like me, you can read them from the comfort of your own home and hope that they will help you muster the courage to be self-sufficient on your very own journey. This entry was posted in Miscellaneous and tagged Central America, Europe, reading list, Romance, travel, ya. Bookmark the permalink.